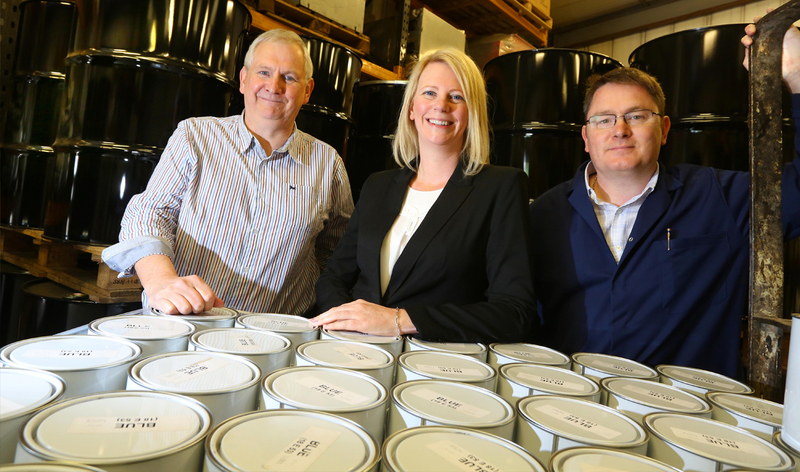 A North East industrial coatings firm is aiming to return to its former glories with the help of a six-figure investment from the Finance for Business North East Growth Fund. Tyneport Coatings makes high-performance compounds and coatings for the gas, oil, water, marine, construction and utilities sectors and can trace its roots back more than 40 years. Its compounds are used on pipelines, tanks, offshore structures, pilings, decks, bridges, industrial buildings, concrete and steelwork. The South Shields-based company has worked on a range of high-profile projects, including the waste water treatment outfalls around the UK coast, the Thames Barrier, the London Docklands development, the Suez Canal and the Dublin Bay outfall project. Managing director Les Hodgson and technical director Jason Fairbairn took control of the firm at the end of 2013 and have overseen investments in plant, facilities and staff. To support this ongoing work, the management team turned to NEL Fund Managers for a £170,000 Growth Fund investment and is now aiming to achieve an annual turnover of £25m in five years. The company currently employs ten people but wants to at least double the size of its production team as its growth plans are implemented. Les Hodgson says: “This is a strong business with a highly skilled workforce and an excellent industry reputation and track record. There’s every opportunity for us to build on this over the coming years.